Taniguchi Jirō is a popular manga artist that I’m always surprised more people don’t know about. His beautifully detailed, hyper-realistic artwork is simply amazing. 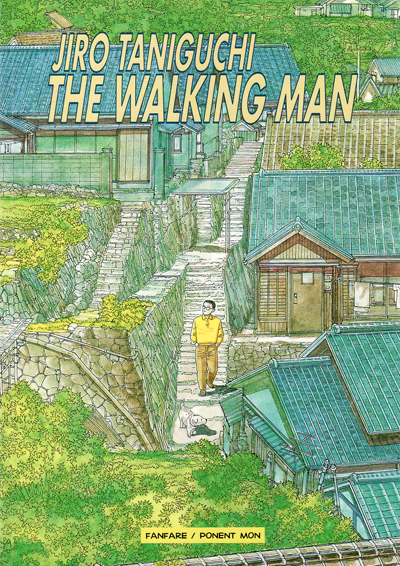 The other day I stumbled across his one-volume manga The Walking Man in an independent bookstore, and the cover was so gorgeous that I went ahead and paid the import price for the book. It was worth it. As soon as I got home and finished reading it, I immediately read it again. That’s how wonderful and immersive the art is. The Walking Man doesn’t tell a story, necessarily; it merely depicts a series of walks taken by its middle-aged protagonist. Each eight-page chapter has a broad theme, like taking the trash out at night or finding a shortcut through a narrow alley. The reader follows the protagonist on his walks, which are laid out in a beautiful use of paneling with a minimum of text and sound effects. The rich visual detail and minimalist storytelling make the reader almost feel as if he or she is actually walking along through the small-town Japanese cityscape inhabited by the protagonist. As a result, flipping through this manga is a thoroughly engaging experience. For manga fans who might appreciate more conventional dramatic storytelling (and slightly less cartoonish character designs), Taniguchi’s later, two-volume A Distant Neighborhood (1999) is also a compelling read. 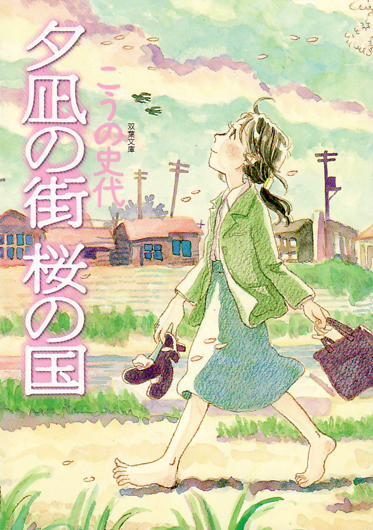 Although the subject matter is quite different, readers who enjoy nostalgic slice-of-life manga featuring normal people moving through detailed visual depictions of Japanese cities might also consider checking out Kōno Fuyumi’s Town of Evening Calm, Country of Cherry Blossoms (2003), which follows several generations of Hiroshima survivors in a story that is touching but never overly political. Perhaps illustrations of everyday life such as those contained in the work of Taniguchi and Kōno don’t have the immediate, flashy appeal of more mainstream series, but there’s a lot to enjoy and appreciate in these manga, and I think every anyone who reads Japanese literature should at least give them a chance.